Wondering Where to Wed ? We now have three fantastic Mauritius wedding packages, starting from as little as £545. 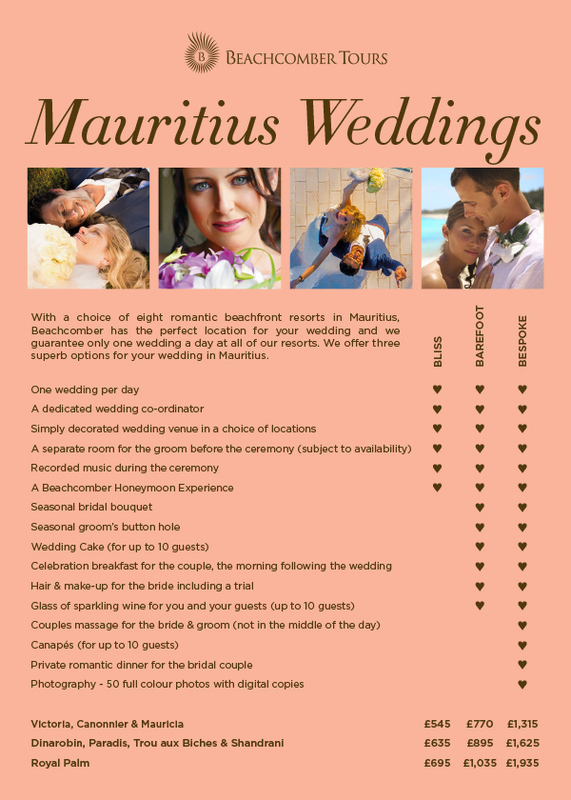 Beachcomber Bliss is the basic wedding package which has all the essentials included for getting married in Mauritius. 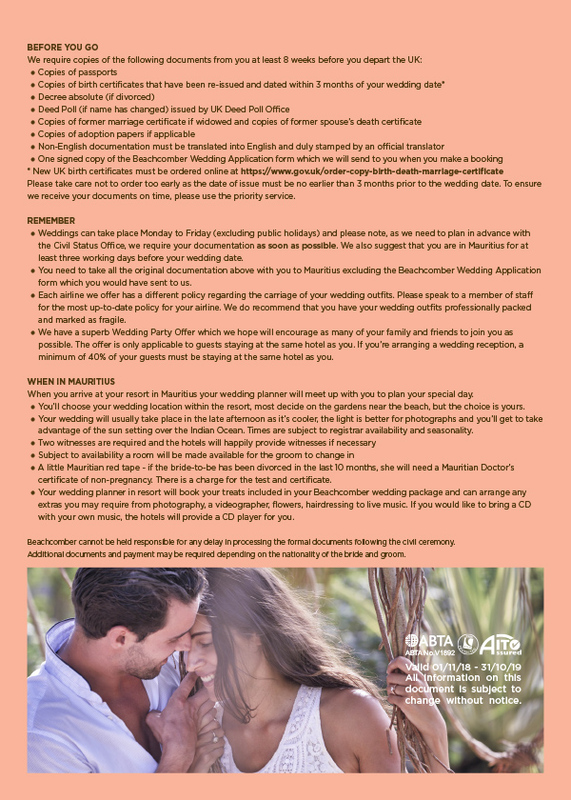 Upgrade to Beachcomber Barefoot for a more comprehensive wedding package which includes hair & make-up for the bride and more. The ultimate wedding package is Beachcomber Bespoke, which has spa treatments and photography included. Whichever package you choose, you can bolt on additional extras.